An accomplished trial lawyer, Elizabeth Rodriguez has represented clients across a broad range of industries in jury and non-jury trials, arbitrations, mediations and other dispute-resolution settings. In particular, she has extensive experience in employment law cases, having defended over 300 employment and civil rights lawsuits to conclusion. Elizabeth has also handled more than 100 appeals in state and federal courts and even appeared before the United States Supreme Court. Elizabeth has represented employers in the entire spectrum of employment-related litigation, appeals, and administrative proceedings, both individual and class-wide. 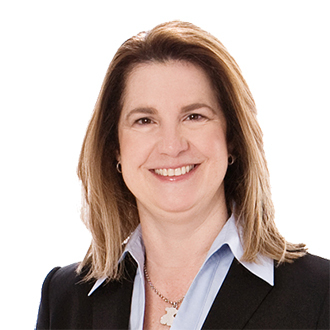 She litigates employment matters in state and federal courts in areas such as employment discrimination (Title VII, the ADEA, FMLA, and the ADA), sexual harassment, wrongful discharge, retaliation, whistleblower, federal and state wage and hour laws (both single plaintiff and collective actions), and restrictive covenant agreements including trade secret and non-compete provisions. Elizabeth has also handled individual plaintiff and class action disability discrimination cases with a broad range of accessibility issues under Title III of the Americans with Disabilities Act (ADA), Section 504 of the Rehabilitation Act, the Fair Housing Act (FHA) involving architectural barriers, websites, points of sale devices, ATMs, service animals, and effective communication. She has successfully negotiated very favorable settlements for her clients. 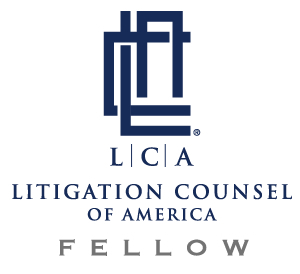 Working with multinational and global companies, Elizabeth provides strategic advice and counseling on the unique employment law issues they face, including the impact of U.S. employment and labor laws on foreign employers. She has handled international employee transfers and expatriate assignments, and regularly advises foreign companies that do business in the U.S. on the requirements of U.S. workplace law. Elizabeth counsels employers on a daily basis in both Spanish and English on how best to deal with difficult employees and other sensitive personnel matters. She also conducts investigations and training and drafts handbooks, policies and agreements for clients in both Spanish and English. Her extensive insurance and coverage litigation experience makes her well-suited to handle matters covered by employment practices liability insurance (EPLI) and directors and officers (D&O) liability policies. Elizabeth is a member of the Florida Bar's Labor and Employment Law and the Appellate Practice and Advocacy Section. She is a Fellow of the Litigation Counsel of America, an invitation-only trial lawyer honorary society consisting of less than one-half of one percent of American lawyers.